Here’s a hell of pitch for a film, Blancanieves is a re-imagining of Snow White and Seven Dwarfs set in the world of 1920s Spanish Bullfighting. Oh and it’s in black white and silent. Take a moment to digest that. With the success of 2011s The Artist, I guess it was just a matter of time before we’d be treated to similar projects. Blancanieves is a stunning film with drop dead gorgeous photography. I initially struggled with the fact that this was filmed in black and white. I wanted to bask in the vibrant colours of the era; from the flamboyant costumes to the lavish set designs. To the films credit it quickly won me over and I became hypnotised by its artistry. Antonio Villalta (Daniel Gimenez Cacho) is the premier bullfighter in Spain, severely injured in his prime when he is mauled by a vicious bull. At the same time he loses his wife whilst she is in labour with their first child, Carmen. Whilst in recover Antonio meets Encarna (Maribel Verdu) the head nurse who is more interested in his vast wealth more than his well-being. 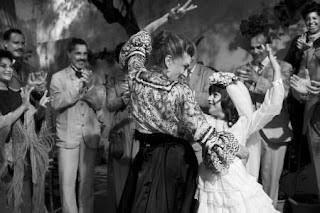 The two marry and young Carmen is forced into a life of servitude and the hands of her evil step mother. I adore The Artist, a film which can pull me out of the darkest of moods. That being said the film is a tad too self-aware of the fact that it’s black and white and silent. Several jokes are aimed at the fact that characters can’t hear and the story its self revolves around the evolution of the film industry. 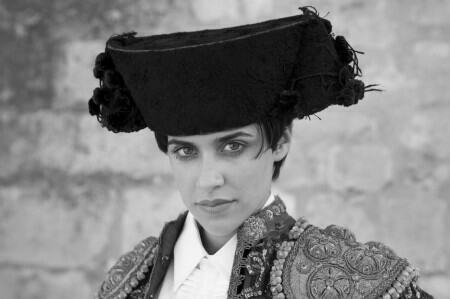 Blancanieves doesn’t wink at the audience or draw too much attention on the aesthetics of the film. It revels in the rich photography. The way director Pablo Berger plays with shadows and lighting is inspired. Second only to the look of the film, the performances were amazing. Carmen is played by Sofia Oria as a child, whose relationship with her beloved rooster Pepe nearly steals the film. This could be the best rooster performance I have ever seen. The older version of Carmen is played by Macarena Garcia, who has a smile that lights up the screen, reminding me a lot of Audrey Tatou and Berenice Bejo. Maribel Verdu is perfect at the evil step-mother; her sharp angular features were captured exquisitely and really gave her a villainous look. I won’t spoil their look but I’ll just say the seven dwarfs are a travelling band of bullfighters who need to be seen to be believed. 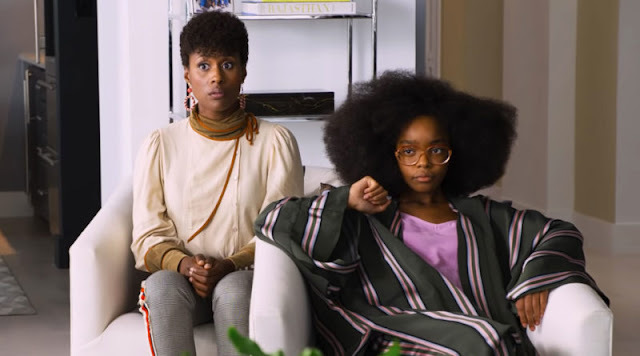 They are fantastic as the comedic relief and breathe so much life into the film. 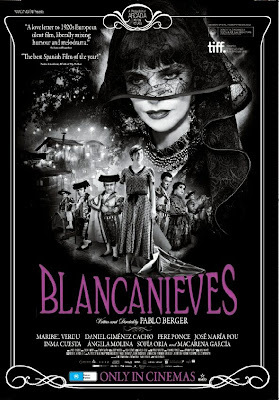 Blancanieves is a charming film which I encourage you to get out and see. It probably won’t get a massive release which is a shame considering the trashy blockbusters seem to hang around for months and these little gems only get a few weeks to shine. Don’t let this one pass you by. This is for true fans of cinema who have a passion for the craft. Blancanieves is in selected cinemas from the 12th of September. If you see the film and agree or disagree with my thoughts feel free to leave a comment below.